Christine was born and educated in London and having nurtured a love of drawing and painting since childhood, is entirely self-taught. Her artistic flare grew as she began her working life both on and off the stage at the Royal Opera House. Christine eventually left London to live in South Gloucestershire, where she worked with children in schools for a number of years, carefully nurturing sparks of creativity in their young minds! Throughout this time she continued to develop her painting, until the demand for her work became so great that the decision to devote herself to full time painting in 1993 was not a difficult one. 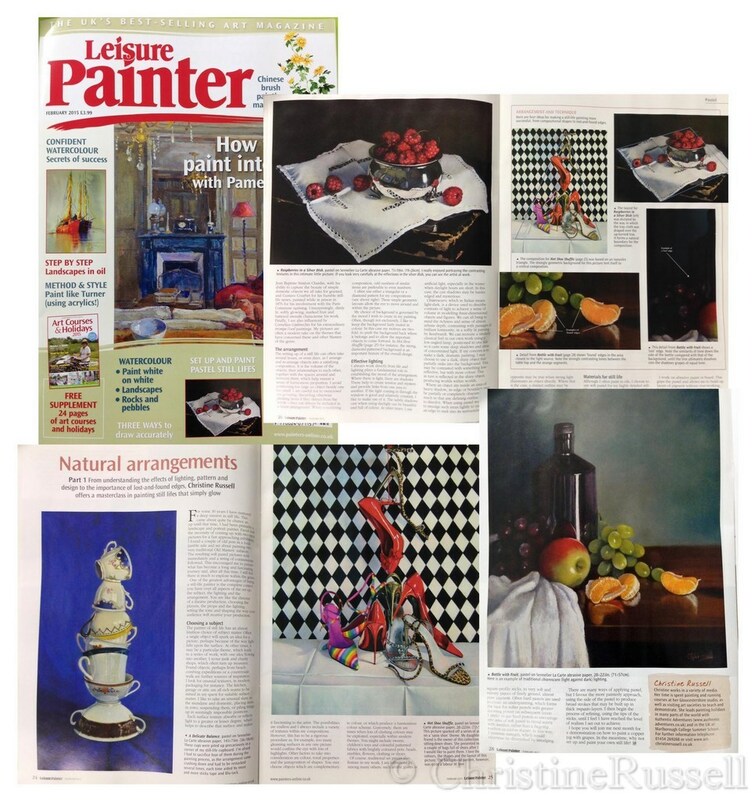 Highly detailed Still Life has become Christine’s speciality and forms the major body of her gallery work. However, she also paints landscapes and other subjects, in a freer, more expressive way. Her motivation is always driven by the keen observation of the effects of light on surface texture. 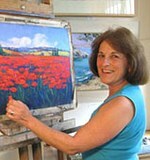 Alongside soft pastels, her primary medium of choice, she works in oils, acrylics and, occasionally, watercolour. Christine has held a number of solo exhibitions, at The Bourne Gallery, Thornbury Castle and at her own studio. In addition, she exhibits with the United Artists and at the Mall Galleries, London, with the Pastel Society and the Society of Women Artists, of which she has been a full member since 1996 and has served on the Council and selection panel. Christine has twice won the President’s Award for Best Work In Exhibition at the 2002 and 2008 exhibitions and has twice been a finalist for the Daily Mail Not the Turner Prize. Her work is held in a number of private collections in the U.K. the USA and in the Middle East and is further represented at several prestigious galleries throughout the U.K. Christine’s articles and pictures have been featured in a number of publications. Christine now shares a studio in Gloucestershire with her daughter, Claire, a picture framer and gilder. Her time is spent painting for exhibitions and running workshops and short courses at the Studio, in addition to which, she visits art societies and other organisations to teach or demonstrate. She is a patient, friendly and enthusiastic tutor who gently encourages and inspires her students. Offering sound tips and techniques, she is tireless in her efforts to ensure each individual gains the utmost from her teaching. Demonstration pieces and articles have featured in a number of publications: Masterstrokes, Pastel and Painting Great Pictures From Photographs (books published by Sterling Publishing inc), The Collins Artists' Sketchbook, Who's Who in Art and The Society of Women Artists Exhibitors, 1855-1996, The International Artist, Pastel Artist International and The Leisure Painter magazines.